We have 2 houseboats available for a 3 night weekend starting Friday 5th January to Monday 8th January and we have slashed the prices on both of these boats to get them away. See pictures and information about these 2 great boats below and call us on 07 5502 6200 for this great deal. 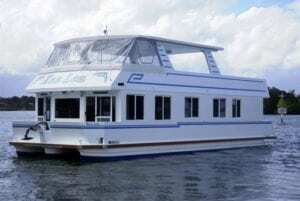 Sleeps 12, 2 toilets, 48′ long, roomy top & lower decks. SAVE $500 and have a great time out! Sleeps 12, 60′ long, heated spa, dish washer, air cond, & more. SAVE $1200 and have the time of your life! Call us on 07 5502 6200 and let us get you out on the water these Christmas Holidays. T&C’s, fuel & bond apply, see web site for full details or call us for full details.